This book is divided into two parts. 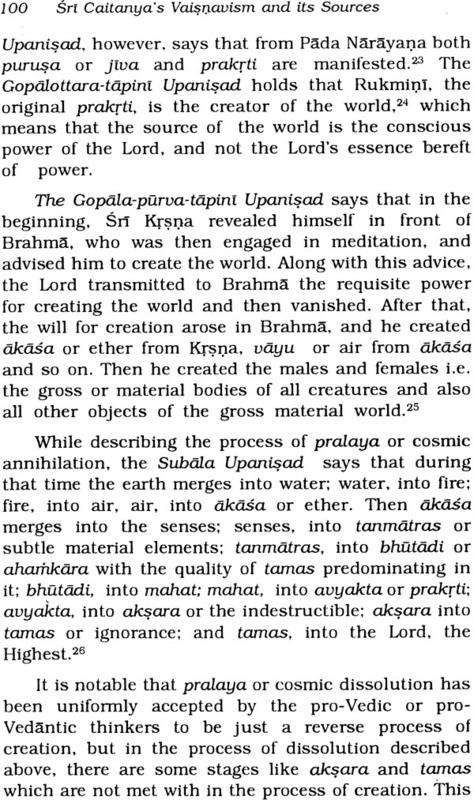 The first part contains an exposition of the philosophy of Sri Caitanya. 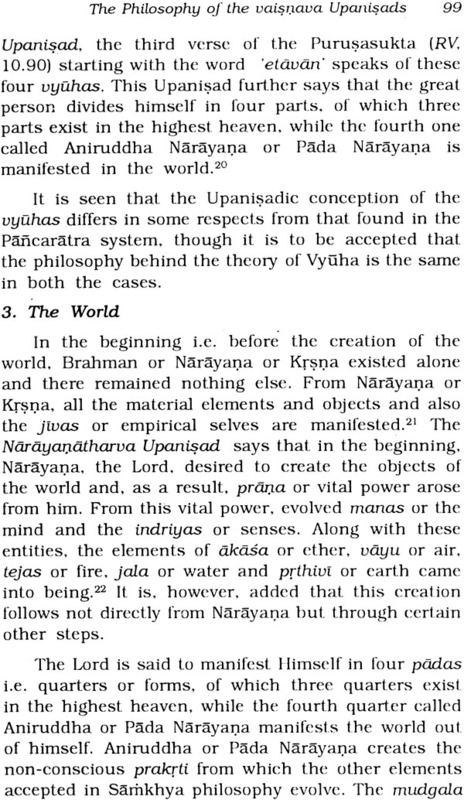 While the second part is devoted to the exposition of the philosophy of the sources of Sri Caitanya’s philosophy-the Vedas, the Upanisads, the Brahma-sutra, the Pancaratra system, the Bhagavata Purana and the Bhagavad Gita. Dr. K. P. Sinha passed M.A. 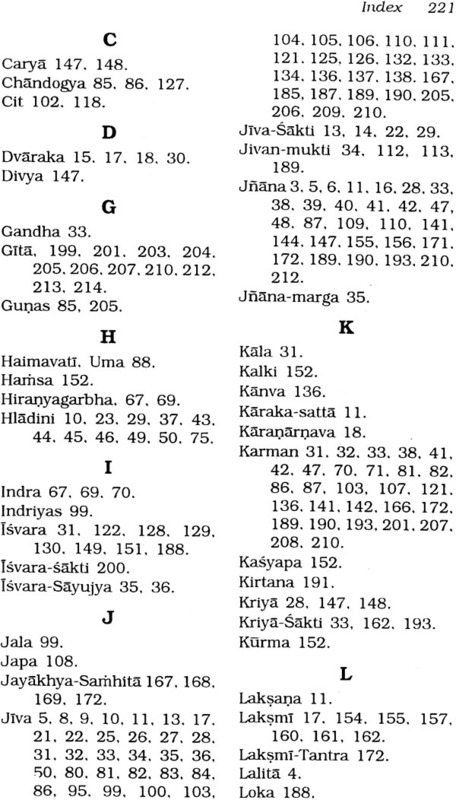 in Sanskrit from Jadavpur University in 1963. He obtained the Ph. D degree from the same university in 1968 and the D. Litt. Degree from Burdwan University in 1982. 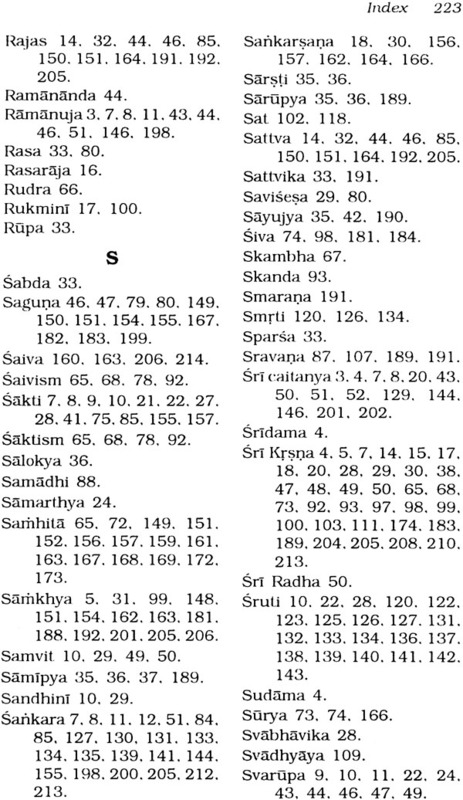 Dr.Sinha is a devoted researcher in different fields of Indian philosophy. 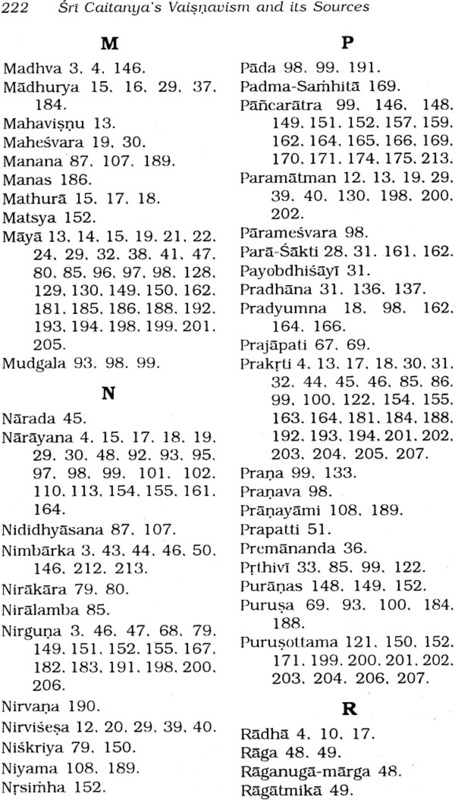 Besides, he is the first exponent of the Bishnupriya Manipuri linguistics. 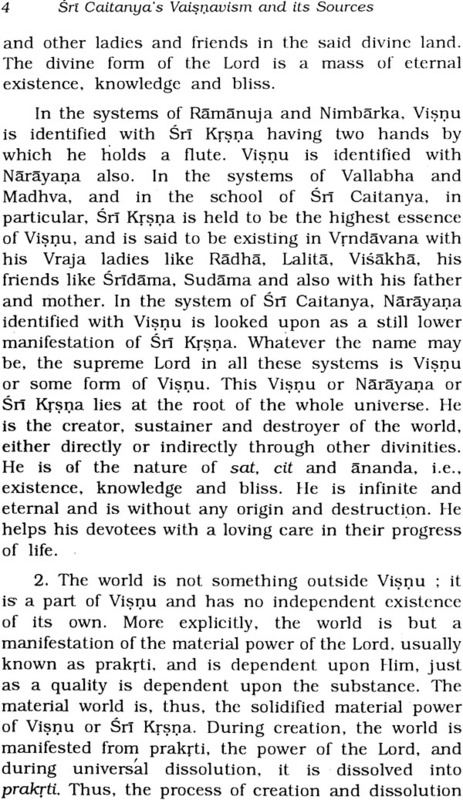 Sri Caitanya’s Vaisnavism has by now gained a world-wide popularity and has attracted devotees from almost all the corners of the globe. His philosophy has, however, been interpreted by some thinkers in a different way, giving rise to doubts about the real nature of the philosophy. 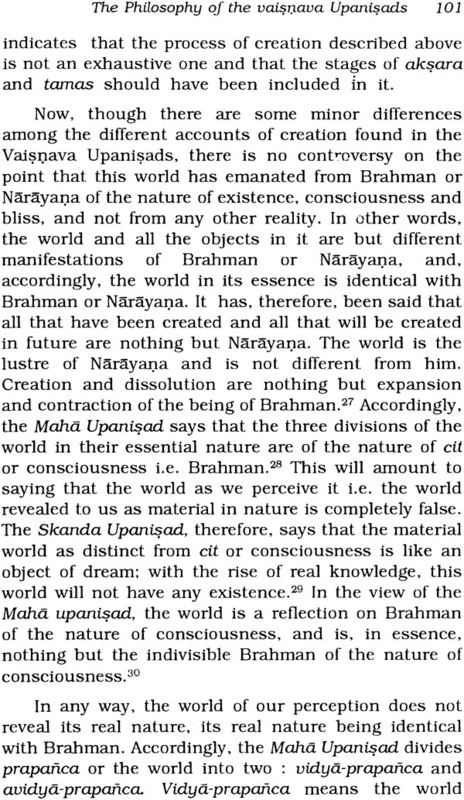 We have, therefore, ventured in this work to present an exposition of Sri Caitanya’s philosophy from our point of view. Now, for establishing the validity of any point under discussion, we think that reference must be made to the original sources of the system. 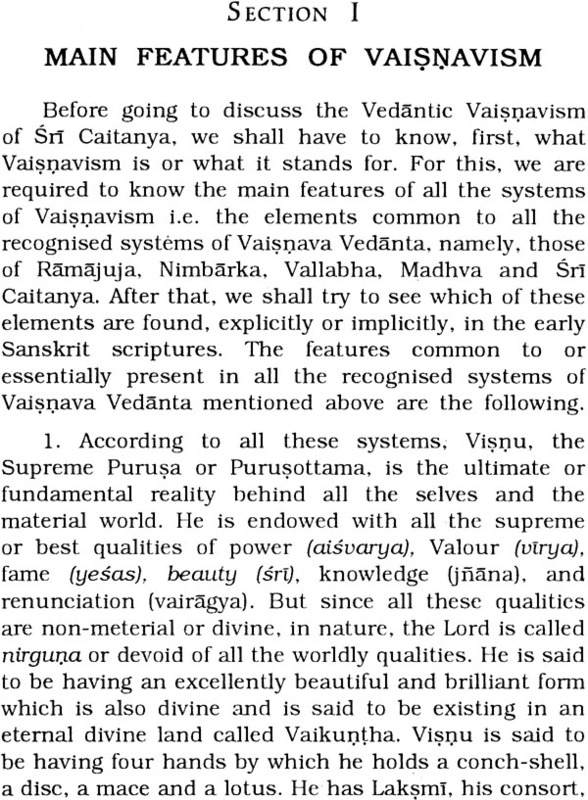 We have, therefore, devoted a major part of our discussion to the exposition of the sources of Sri Caitanya’s Vaisnavism. 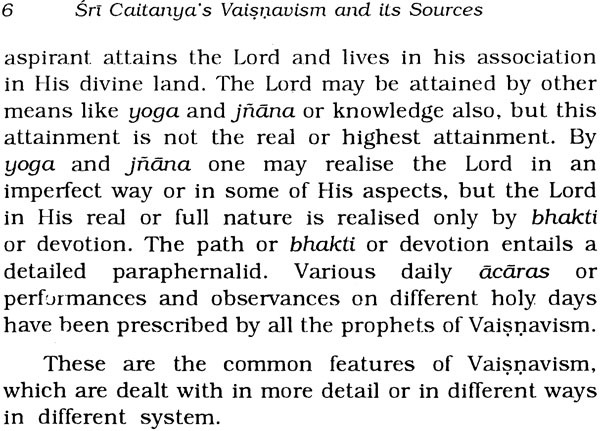 Sri Caitanya-Caritamrta informs us that, according to Sri Caitanya, the root of his philosophy lies in the Vedas. 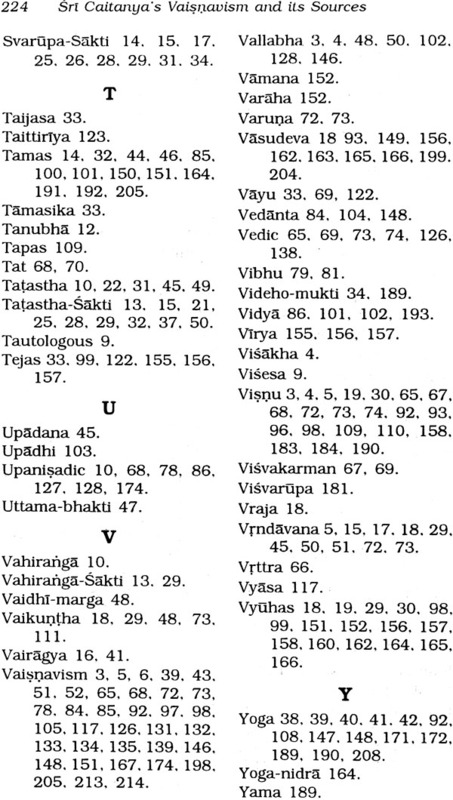 The Upanisads, the Pancaratra-agamas, the Brahma-Sutra the Bhagavata-Purana and the Srimad Bhagavad-Gita. 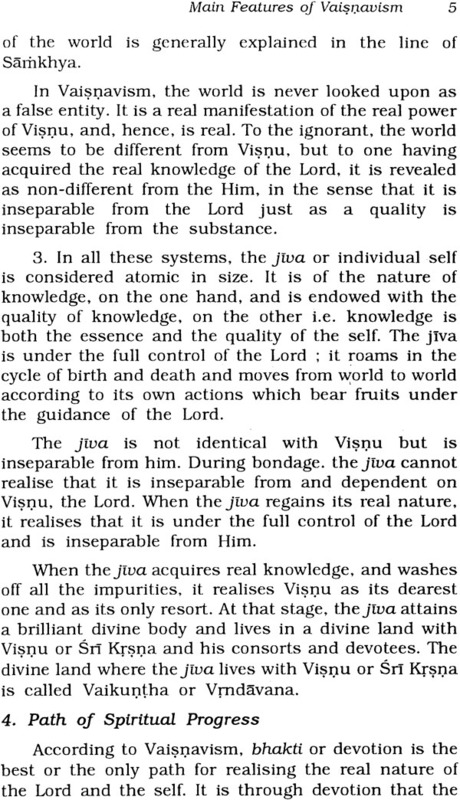 Accordingly, we have tried here to present the philosophies of these sources in some detail. 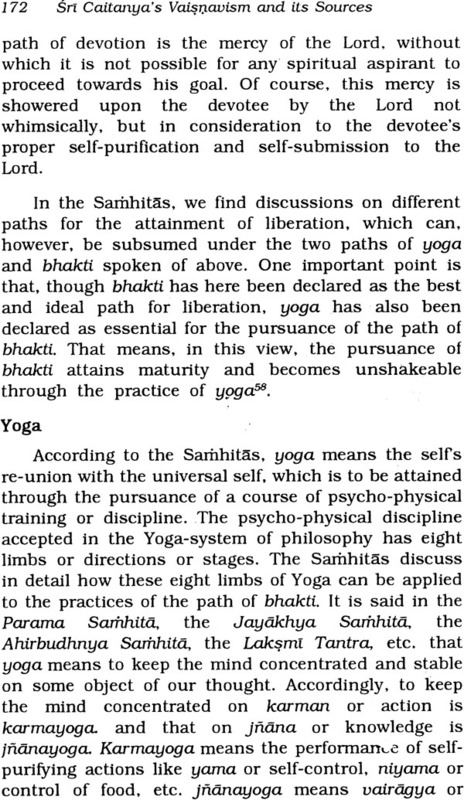 In giving these expositions, we have taken care to show that our exposition of Sri Caitanya’s philosophy is quite in harmony with the philosophies of the said sources. 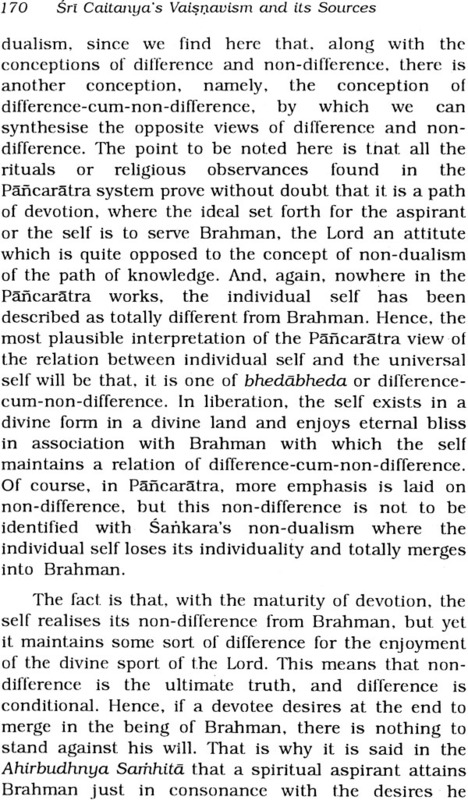 Another important point to be noted here is that, most of the followers of Sri Caitanya have presented Sankara as their confirmed antagonist and have not missed any chance to pass some unkind remarks against him and his philosophy. 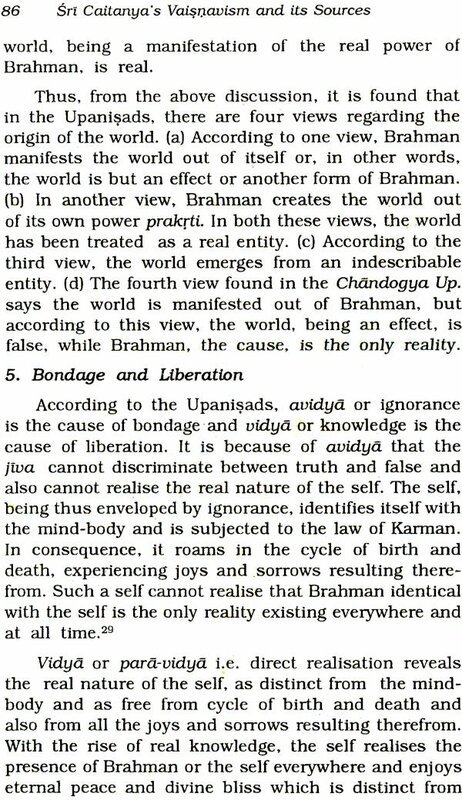 In their view, Sankara has misinterpreted the scriptures to establish his own concept of non-dualism which, actually, is not there in the scriptures, and has, in this way, done a great mischief to the world. 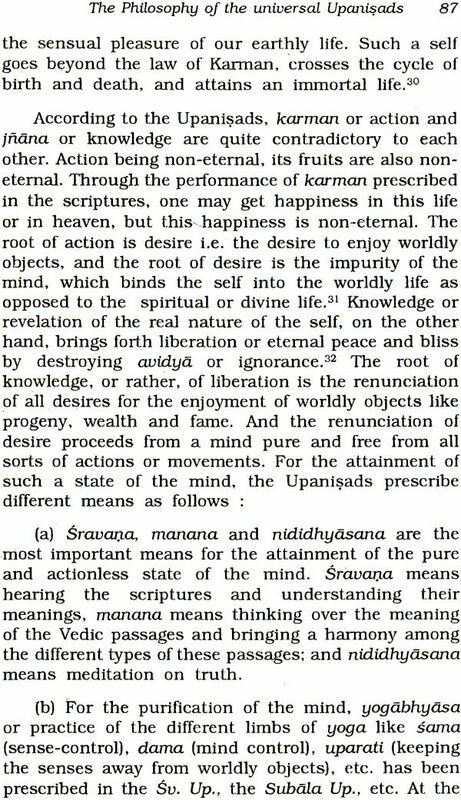 In our view, however, Sankara’s philosophy is not at all opposed to that of Sri Caitanya. We think that non-dualism is the final word of all the religious philosophies. 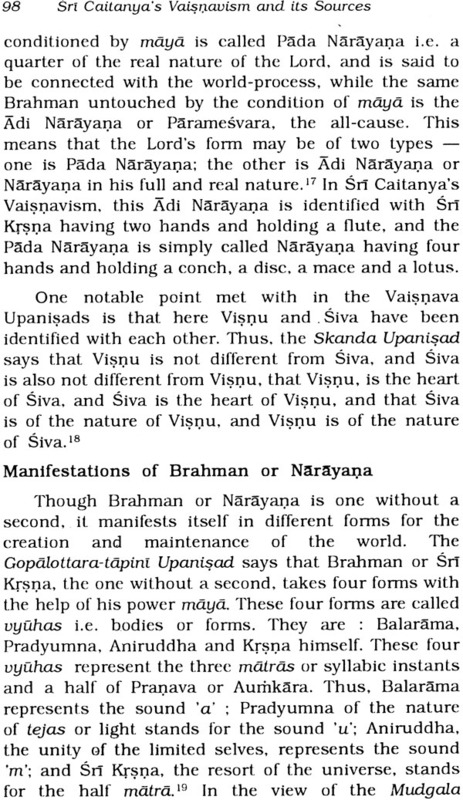 And a study of the source of Sri Caitanya’s Vaisnavism will attest the fat that, according to these sources also, non-dualism is an established fact. 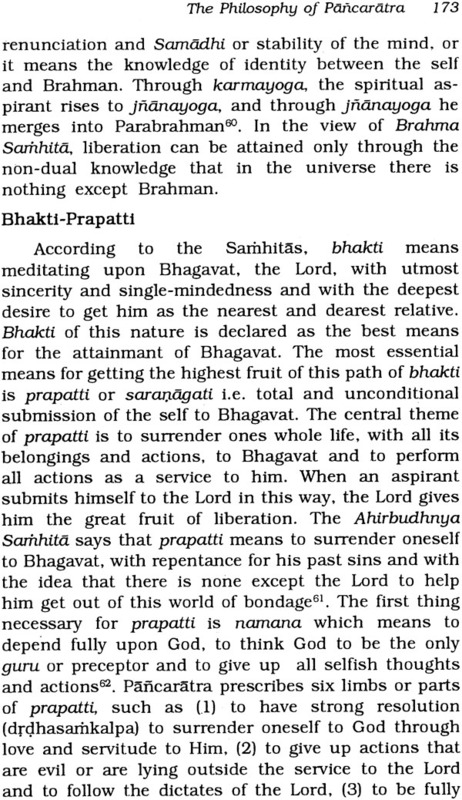 And we have taken care to show that Sankara’s jnanamarga and Sri Caitanya’s Bhakti-marga are not opposed to each other, that the concept of non-dualism is there in Bhakti-marga also, that Bhakti can co-exist with jnana at the highest level of spiritual realization and that both jnana and bhakti can well be accommodated to the philosophy of Sri Caitanya. I am thankful to Sri Prasanta Kumar Bhattacharya of PUNTHI PUSTAK. Kolkata, for taking interest in the publication of the work and bringing it out in print with proper care.